I have been a firm believer of God. In troubling times and during happy times, even if the situation is that small, I always make sure to offer a prayer. A simple help or thank you wouldn’t hurt anyway. The tragedy that happened this Monday is gruesome. But this is to show that even though the people of Hong Kong are mourning now, we Filipino people mourn with them too. 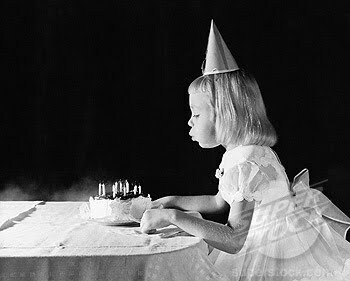 In my twenty-four years of existence, I have proven that we are compassionate. We all pray for the people who are hurt or sick, even if we do not know them personally. We get sad for those who are in despair, we help, even if we have so little to give. We love, more than anyone could ever imagine. Our country’s reputation has been tarnished by one countryman who have failed to show what true patriotism really means. But despite what he did, no matter how foolishly he acted, it only serves as a wake-up call for all of us. That we should all treat everyone fairly. That justice is not pure justice if not given due consideration for his actions. But as we see that it is over now, we should just pick up where we left off and try to move forward. Go on with our lives but present humility to those who are hurt and joined our Creator. Just like a death of a relative or a loss of a love, we will move on. 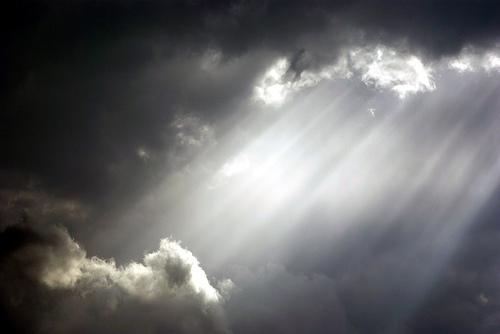 It cannot be entirely this moment, but hope springs to those who seek it. And the future creates new memories for us. It is just for us to make a move. I know, because I have been a survivor of painful times, and it definitely made me stronger, rather than give up what holds for me in later years. Now I know were better than ever. 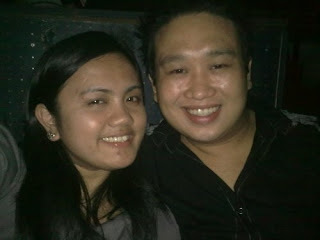 That when we look back, we’ll just laugh about every disagreement that we fought about. I never thought that a total stranger would mean this much to me. And I’m so glad he did. Every heartache was worth it because it finally led me to him. I’m so glad I’ve found someone who treats me like a princess every day. Someone consistent of how he really feels for me. 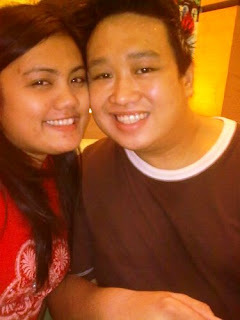 The only guy who knows my worth and even thinks I amount more than that. And someone whom I can see my future with, good or bad. Happy Fourth Month my Baby Jeff! Thanks for the four wonderful months and more. I super love you much! 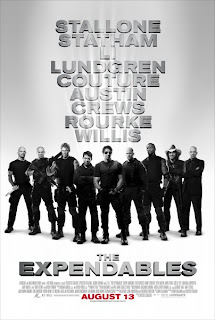 It has been long since I've seen an action packed movie and an all star cast, and thankfully, THE EXPENDABLES made it all possible. Barney Ross (Sylvester Stallone) is the leader of the "Expendables", a group of mercenaries, hired by a "Mr. Church" (Bruce Willis) to overthrow a dictator of Vilena, a small South American Island. His highly formidable team consists of Yin Yang (Jet Li), Hale Caesar (Terry Crews), Toll Road (Randy Couture), (Dolph Lundgren). As Ross and Lee Christmas (Jason Statham) went to see the said island, they met Sandra (Giselle Itie) , a local who promised never to leave her country even if it is already in peril. A job that is merely impossible to succeed at, Ross and his team decides to go back and save whatever that's left there. Want some no-BS action movie that's worth your cinema money? The Expendables screens August 13, 2010, Friday. Like I always say in my reviews, I am never a fan of guns and all that glory. But since it IS Sylvester Stallone and his movie comeback, this I ought to see. Maybe because of the thought that I've only known him as Rambo and well, that's it. I was intrigued because here he is again, doing a movie with a power cast. And I was never disappointed. The movie did not have any lapses. But of course, its not always about the action, but it makes you wanna leap then and there. Plus the fight scenes are awesome. The explosions were massive and the storyline isn't cheesy nor emotionless. As my former boss, Miss Tessa and Miss Rose, another colleague got promoted, the whole department urged them to treat us. And just along Amethyst Street, at the Tycoon Center, a Japanese find is just right for us. Affordable, accessible and neither one of us can really resist something Japanese! Mench and I enjoyed their California Maki. Well, I've always been a sushi fan and they usually entice me. And it doesn't taste bad. I don't know, but some of the California Maki are "malansa", but I loved Suzu Kin's. We also tried their best seller, The Lunch Platter, which only costs P123.00. It serves Ebi Tempura, Chicken Furai, Pork Kushiyaki, Takimiyaki, Tuna steak rice and Miso Soup. Its actually great for those who prefers more quantity and an affordable meal. So if you happen to pass by near Tektite, try this quaint Japanese find, Suzu Kin. Great food, affordable authentic Japanese munch. I know I'll be going back there to try their other cuisine. 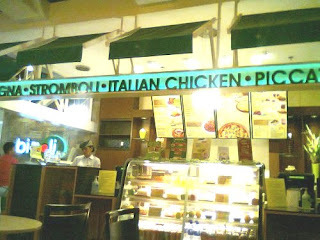 When my boyfriend and I were having our usual date, we discovered something unusual, and by far, I found the best pasta/pizza place that's so right for me. As we were both craving for pasta, Ristorante Bigoli's didn't disappoint us on whether what to actually order --- The Tour of Italy (165.00) -- a sampler of Alfredo pasta, Lasagna and Spaghetti is the answer to our pasta dilemma and boy, it was as sumptuous as it looks. I personally enjoyed the Lasagna, while he loved the Alfredo. 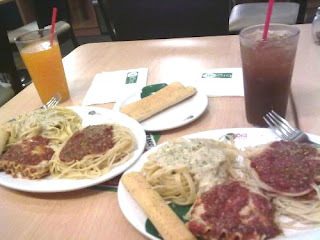 Topping it with unlimited breadsticks, their Spaghetti is what I've been wishing to taste for days. 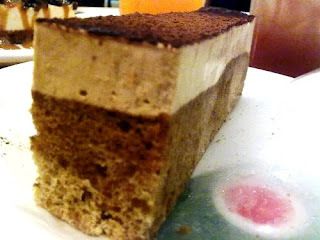 After munching on their pasta, I ordered their Tiramisu, which suprise, suprise, only costs P55.00. It was a bit bitter but it gets yummier afterwards. I don't know, but its best for coffee lovers like myself. 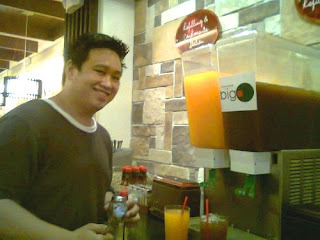 They have an ongoing promo, where you can avail of unlimited servings of Pizza for only P199.00 during 10AM-2PM. 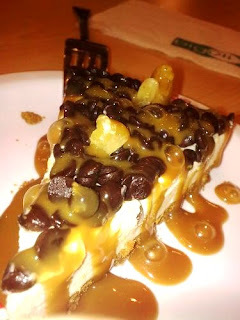 We wanted to try it but we were so full already. Guess we really have to try that next time we go there. I also wanted to try their Spicy Chicken. Five stars for Bigoli's, because not only their food are super great for us, but the ambience feels homey and their staff are nice and so accommodating to us. We're definitely going back, no doubt about that. 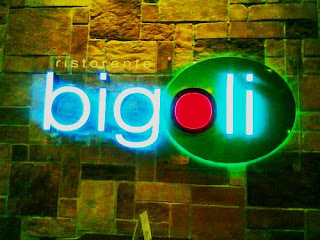 Try Ristorante Bigoli located at the 2nd Level of SM North Annex. Don’t you just love book discounts? I know I do! Last week, as my friend, Mench and I were passing by Robinson’s Galleria, a one-month sale from August 1 is in the works. And since I can’t miss the possibility of going to yet another sale event, I headed directly to its National bookstore and lucky me, I spent wisely on another book. 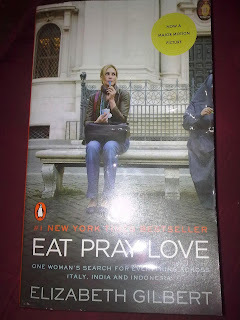 Eat, Pray Love, written by Elizabeth Gilbert, is a memoir of her travel to Italy, India and Indonesia. It is entitled Eat, Pray and Love because in these three countries, she discovered different cultures, spiritual fulfillment, the taste and the most wonderful feeling in the world, that is, to LOVE. Now I’m so excited to read the book. Oh, and because of National Bookstore, it is now priced at P225.00 instead of its regular price, P285.00. I just had to buy it so I know what to expect during the movie. But anyway, its not gonna be shown until October, so I have a lot of time to finish it first. I can't believe its their 31st year already! 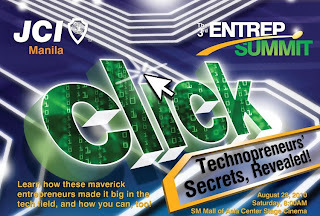 The 31st Manila International Book Fair sails at the SMX Convention Center, SM Mall of Asia on September 15-19, 2010. They usually fall after my birthday and I’m so ecstatic to attend this one. Last year, I only bought two or three books. So I hope they have an interesting selection this time. And at least now, I’m not going there alone. Books complete my life. I think the first book I read was the one they were selling during my Elementary days where the illustrations and wordings were as big as a child’s fist. And then I met the fairy tales and the princesses when I could read big words already. At Grade 4, I began the Sweet Valley Kids, Twins and the Unicorn Club. I was never a fan of Nancy Drew though, I prefer Archie Comics afterwards. But now, I am definitely a novel enthusiast. Foreign books may sometimes be hard to understand but knowing their culture makes you feel that you’re also there, residing at their place and just a stone throw away. They are your friends who you know you could count on for a very long time. So what other books can you recommend me to read that could fill up my library that I will construct in a couple of years? Keep reading everyone. I know that this has been a long overdue review, but as the creme de la creme of all 2010 movies, it is only fitting to put my two cents worth here. Dom Cobb (Leonardo di Caprio) is a special agent that specializes in the extraction of dreams. As skilled as he was, a last job to take him home to his children is his most complicated of all as he should reverse what he is used to doing. 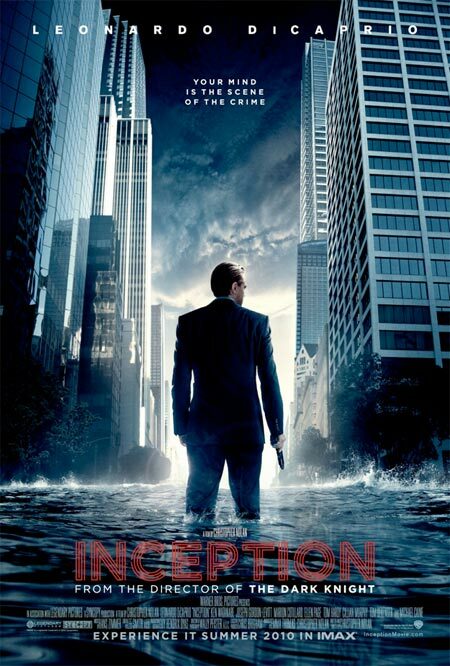 Enter Inception, to plant an idea to the subconcious of their mark. As Saito (Ken Watanabe), a businessman whose fiercest competition has a son who will take over a business empire, hires and prepares them for the job to enter Robert Fischer, Jr.'s (Cillian Murphy) dream. The Plan: Enter Fischer's mind to plant a way for him to destroy his father's company and make Saito rise above them. Cobb assembles his team by hiring talented people. Ariadne (Ellen Page) worked as the Architect, Arthur (Joseph Gordon-Levitt) - the Point Man, Eames (Tom Hardy) working as the Forger and Yusuf (Dileep Rao), the chemist who will provide the sedative to put a multi-layered dream into life. As their plan progresses, the team went into three layers of dream. But as the last plan was getting foolproof, Cobb's past continued to haunt him, thus, creating a distraction to what they had all built --- someone who Cobb needs to let go so he could live his normal life with his kids and lead his future -- his wife, Mal (Marion Cotillard). 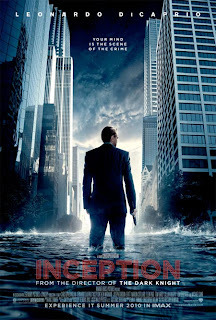 The visuals were the best part of the movie, especially when Cobb was introducing Inception to Ariadne. I hope I'd be able to watch this in 3D if time permits. Gave five stars to this movie because it kept me thinking, threw debates with my boyfriend if the scenes are still real or a dream. And next to Titanic, this is the second Leonardo di Caprio's movie that I enjoyed and loved. Its not everyday that I buy something for vanity's sake. But when I found out the Nokia C3 in hot, hot pink hit Manila's shores, I simply had to get one... especially on their one-day sale last July 31, for only P6,290.00 (originally priced at P7,290.00). - Get live Facebook and Twitter feeds right on your home screen. - Keep in touch with friends – simply select their picture to call or send a message. - Manage your email, chat, calendar and music with dedicated widgets on your home screen. - Take the web with you – connect to the internet over 2G or Wi-Fi. - Browse, search, shop and share online with the mobile web browser. - See web pages clearly on the vivid 2.4" colour display. - Access a world of information directly from the home screen using the Web Search widget. - Stay connected to your favourite Ovi services and social networks. - Let your friends know what you’re up to – update your status easily while on the move. - Get your message across quickly and easily using the full QWERTY keyboard. - Check your messages with the dedicated shortcut key. - Follow the flow of your SMS conversations – text messages appear one after another as the conversation goes back and forth. - Access up to 10 personal email accounts on your phone – including Hotmail, Gmail and Yahoo! Mail. - Stay in touch with your friends and family through Ovi Mail – your free email account from Nokia. 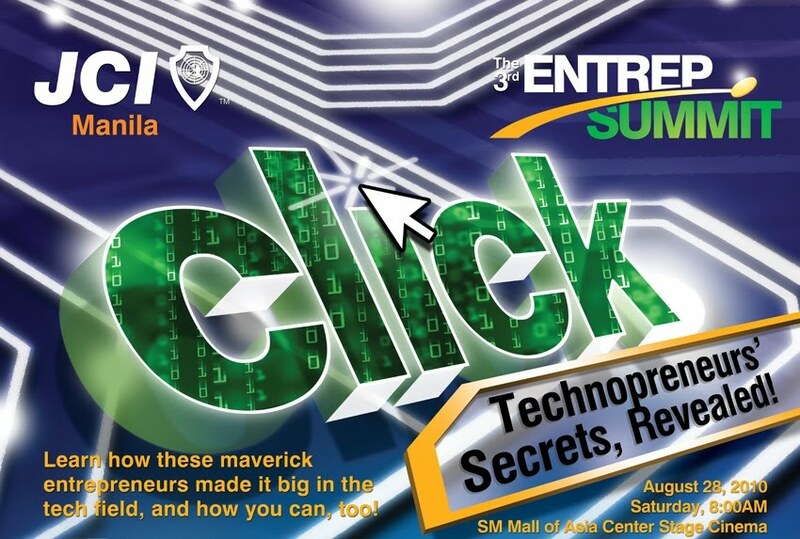 - Chat with friends through Windows Messenger™, Yahoo!® Messenger, Google Talk™ and Ovi Chat. - Make a statement – an assortment of colours and the premium metallic finish give this phone a distinctive look. - See everything clearly on the 2.4” landscape display. - Type messages quickly and comfortably using the QWERTY keyboard. - Use the one-touch shortcut keys to instantly access your contacts and messages. - Capture special moments as they happen with the built-in 2 megapixel camera. - Keep your photos and video clips on the 55 MB internal memory or store even more with up to 8 GB of expandable memory. - Record video clips on the go and watch them again later. 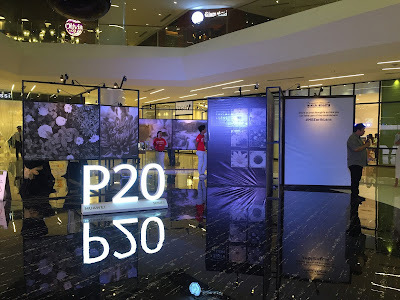 - Share your photos with those close to you through email, MMS or a wireless Bluetooth connection. - Upload photos and video clips straight to your social networks or favourite sharing services. - Find music to match your mood – with the music player your favourite tracks are always with you. - Download new tracks to your computer and then simply transfer your favourites to your phone. - Build your music collection and take it with you – your phone supports up to 8 GB of expandable memory. - Tune in to your favourite music and news programmes on the move with the FM radio. - Get information on your favourite radio stations directly on the display. My parents and I went to SM Fairview at 7:00PM. Good thing that the Hot Pink is still available because a friend of mine tried buying at SM North EDSA and was told that it was out of stock already. My Mom wanted the Gold, but it was out of stock at SM Fairview, so she got the Slate Gray instead.